We all hear dozens of commercials each day. Clean with this product! Fun events here! Donate now! With all of these companies vying for their audience’s attention, the listeners have to make an educated guess as to which VO ad is the most useful. How can they find the best bang for their buck? Which product will last in quality? How can they navigate all of these voice over ads every day and come out with a solution that gives them the item they have been searching for at the price they want without a ton of extra effort? How can you give your audience what they want without overstepping their personal time? Well, it’s all in the voice over talent. Of course you know that commercial ads have a lot of moving parts. Yes, a great ad has voice, but it also has applicable, compelling music, a strong statement, relatable taglines and situations, or maybe it’s the concept itself that will draw in your consumer. But, the biggest part of any successful ad has to come through the voice actor. Why? Because we’re all human beings, and we trust what we know. Listening to a reliable, sound voice over that all together informs, entertains, and aids in a product decision-making conundrum is what lies at the heart of valuable commercial production. Creating voice over ads to sell your idea is one thing, but really delivering it? That’s all in the VO talent! And yes, just about every commercial out there has a voice over actor working behind the wheel to sail its ship into the harbor of new consumers. And with that many people at the helm, it can be hard for your company to leave a lasting impression in the mind of trusted consumers with regular commercial voice over. And it isn’t just the voice that’s racing to the finish line. It’s the style that voice has to create. There are just a few dominant styles of voice over in commercials today that really hit home with their audiences. There are markets for soft and relaxing, inspirational and energetic, excited and fun, serious and informative, and then there are the companies themselves, who offer a specific voice style for their product only. Regardless of what’s out there, the main point is this: You have to stand apart from the throng of brands and competitors and share with people what makes you who you are as a brand. And that means strong voice. Is it hard to find the perfect fit for your commercial ad? Of course! This process takes time and energy. You care about making the most creatively produced commercial that you can, and that takes some serious talent. But the second you find that one professional contact for all of your voice over needs, the process becomes much more streamlined. No one ever said this stuff was easy! But it can be with Piece of Cake Voice Overs & Vocals. Strong, sincere, warm and relatable tones are my specialties. I’ve worked with a large pool of happy clients in this style, including HGTV, Target, Bose, Walmart, Mariott, and plenty more. 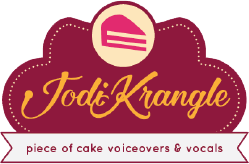 From the sweet, know-how mom on the go to the business-level executive that stands tall and has the expertise to drive your product home, my trademark voice style runs a gamut of the niche highs and lows in voice that will stand above the others and get you noticed. Looking for something that differs from my specialties above? No matter. Because I have experience in so many different types of voice over, I give you the reigns in saying what branded voice style you would like me to produce. Want something that’s just a bit edgier? Looking for stern or serious? Maybe you want educational, authoritative, or energetic. With long-term voice over experience, you take my VO wherever you need it to go. While the ability to run many styles of voice through an expanded list of commercial types is rare, it’s even less common to find long-term compatibility with your voice actors. Sometimes the voice isn’t quite right, or sometimes there is a wall between personalities. 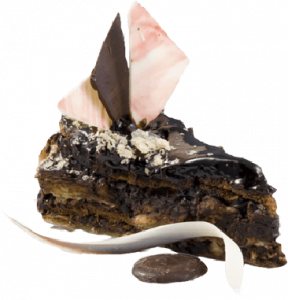 But when I say Piece of Cake, I mean it. This is not just a service that provides strong voice over for your commercial needs. I also build relationships. My clients are happy because I provide timely action on voice over requests, because I do it with a professional, approachable attitude, and because I deliver an expert service that’s built from years of experience. It’s all in the approach. I’m great with direction and tailoring my delivery to your needs. No hassle required. Want the perfect voice? I’m here for you. Have too many tight deadlines to count? I’m prepared for you. Have a project that needs to be turned around yesterday? I’m ready for you. Let me be your reliable partner in getting the job done well. Contact me for a quote. I’m also happy to do a (no cost) audition for you.